That there is a need for India to focus on improving infrastructure and quality in higher education as its demand is huge not only within the country but also outside, may come good for this crucial segment of education. An estimated 2.30 lakh students from India go for studying abroad annually and involves a commerce of about $ 17 billion, which is huge amount lest to be neglected . At the same time India has a huge potential to attract global students. So, commerce in educational services may become a compelling reason for India to promote quality higher education institutions (HEIs) in the country. After education services were brought in the ambit of services under Services Export Promotion Council (SEPC) of the ministry of industry & commerce, there has been loud thinking in the SEPC for quite some time to make Indian higher education qualitatively attractive for students globally. While speaking at the plenary of the 14th FICCI Higher Education Summit on November 10, 2016 in New Delhi, union commerce secretary, Rita Teaotia disclosed that her ministry has worked out a proposal to relax norms in the services sector, including higher education. “We have worked on a draft note for consideration of the government which looks at the domestic reforms necessary in the services sector and this includes higher education,” she said, adding that as the world economy is shifting to high-end manufacturing, there is need to enhance collaboration with the higher education sector. Teaotia said the department of commerce has recognised the export potential for the sector and at its services conclave, export of education services remains a focus area. Based on the deliberations, an inter-ministerial group was set up and this group is instrumental in preparing reforms agenda for the higher education sector. She further said factors that make India a preferred destination for higher education include India’s capacity to provide low cost of higher education as against many other developed countries, English-speaking population and world-reputed technical and professionals institutions. “We should be looking at areas like setting up of campuses of foreign universities in special economic zones, where foreign students can study and such centres can offer global curriculum,” she added. Saying that focus has to be on global bench marking than current regulations by regulators like UGC/AICTE, the HEIs in the county need to achieve quality, accreditation and rankings, Teaotia said that India has international (HEI) brands which have potential to develop and become research hubs. Yoga, ayurveda, music, dance are areas of advantage and country should go for special zones and allowing twinning arrangements with foreign HEIs. 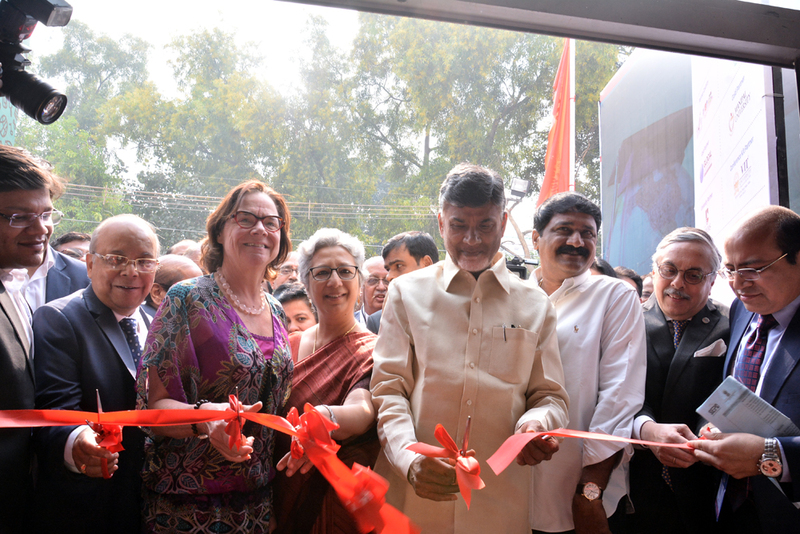 She also emphasized the need of creating a welcoming environment for foreign students to come to India. Speaking at the same conference, the union HRD minister, Prakash Javadekar said that his ministry has taken a hard look at poor global rankings of country’s HEIs and concluded that poor perception is one major factor response for it. “We will be addressing this perception issue by reaching out to Indian Diaspora and spread word about our HEIs,” he said. The minister also informed that guidelines were being made for applicant universities who wish to be applying for status of world class universities under the scheme announced for 20 universities in the budget. “These universities will be fully autonomous, and the government will provide funding,” he added. Meanwhile a FICCI- EY report titled ‘Future of jobs and its implications on Indian higher education’ which was released as part of the education conference censured higher education regulators by saying that the regulators are far behind the innovation curve leading to outdated pedagogies and suboptimal leverage of technology. “The regulators need to think ahead of the curve developing transnational regulations while fostering flexibility and agility,” the report adds. “The transformation toward a truly open education system to meet the needs of tomorrow would need vision, openness to change and strong execution over a sustained time period. But the impact on the individual, the economy and the county on the whole will be tremendous,” wrote Amit Sachdeva, Partner, Advisory Services Ernest & Young LLP in the foreword. The report recommends building lifelong enrolment models and flexible entry/exit programs. “Universities need to align their strategies to counter disruptions and meet the learners’ aspirations. Migrate to stackable credit systems to promote self-pace learning,” it adds. Taken together, the mindset is about education reforms is firming up.